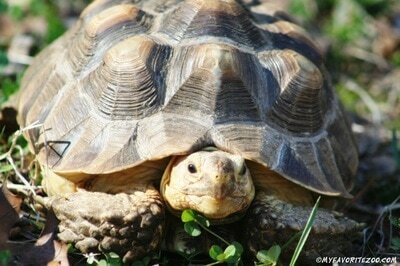 The African spurred tortoise, also known as the sulcata tortoise. 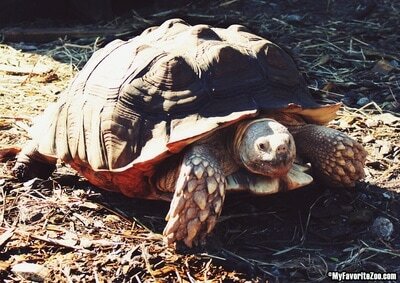 These tortoises come from the southern edge of the Sahara desert, in northern Africa. 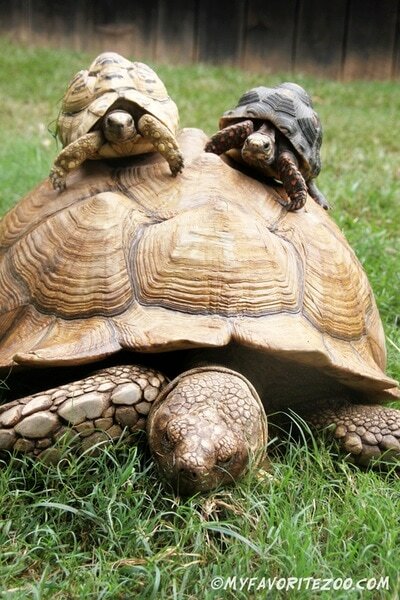 These adaptive and curious creatures are a very popular option for a pet!